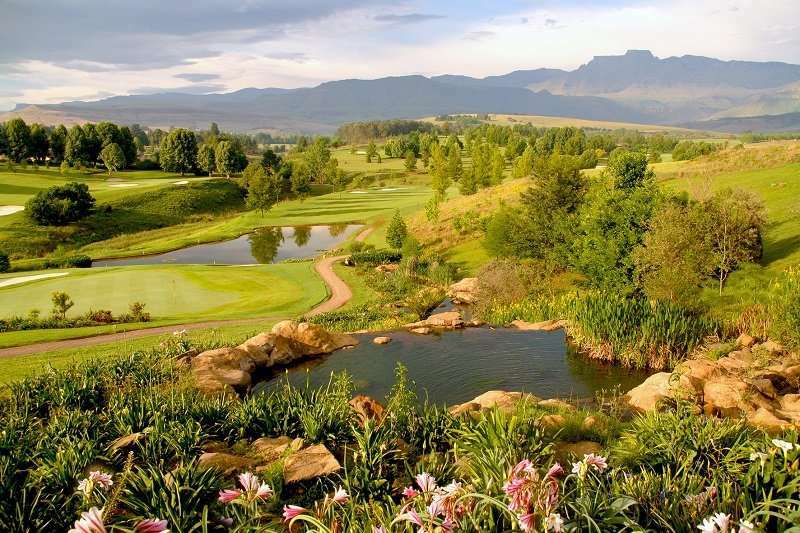 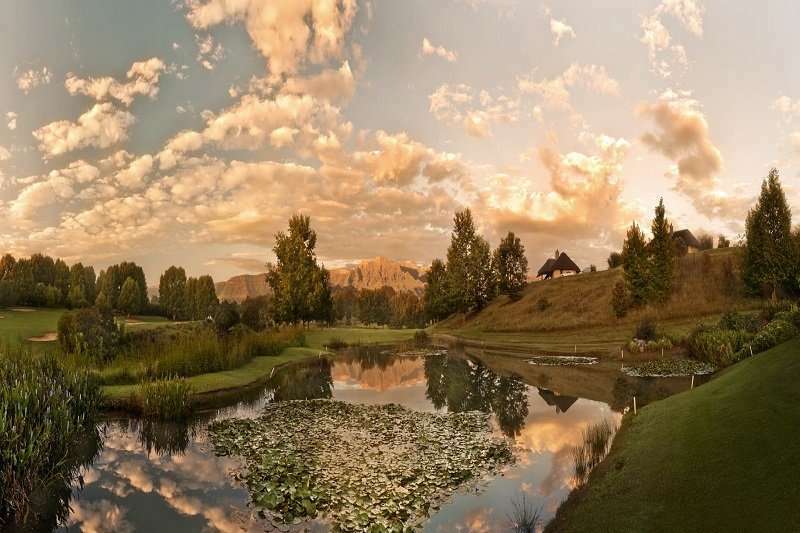 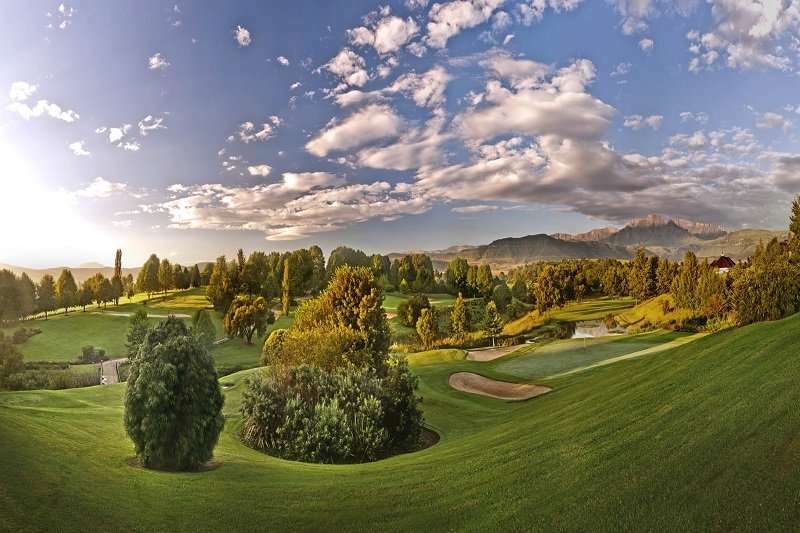 Nestled in the heart of the Drakensberg Mountains and sculpted in conjunction with its setting is perhaps one of the most scenically stunning golf courses in the world. 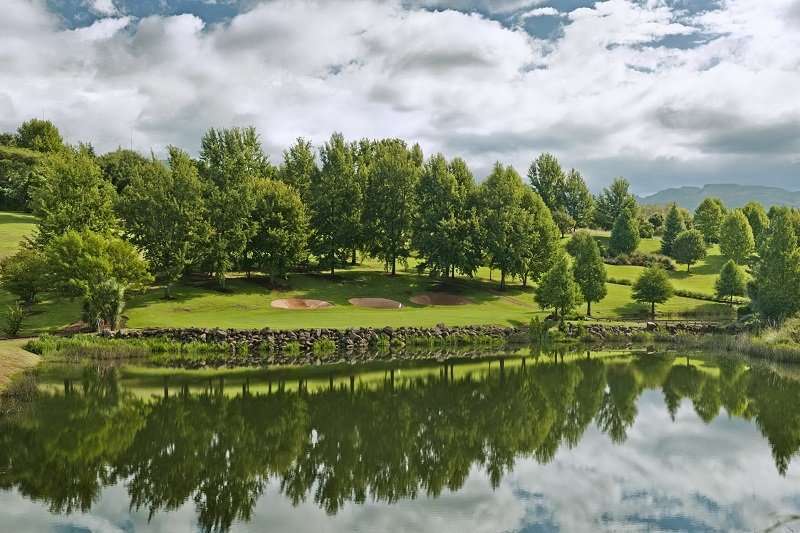 The championship course (Par 72 – 6,694 yards off the back tees) has been consistently voted in the top 30 courses in South Africa. 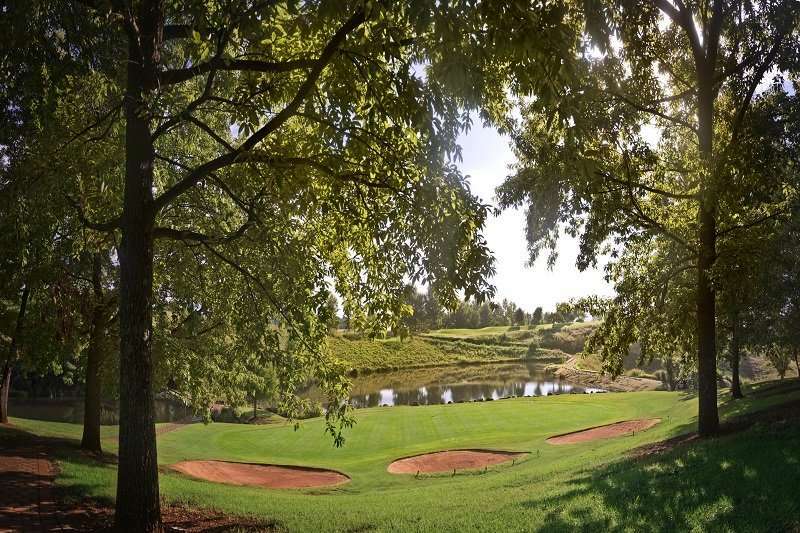 The fairways are wide but wayward shots are punished by an array of carefully sited bunkers and greens guarded by water. 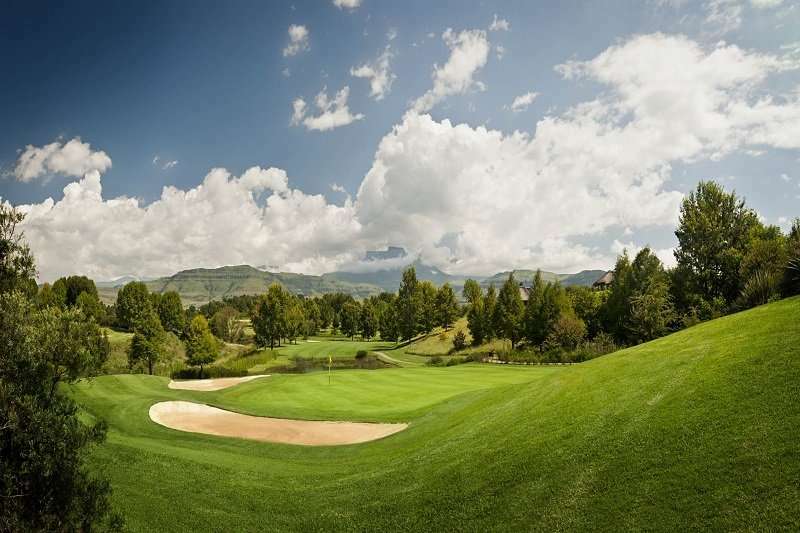 The pro-shop is well stocked and buggies are available but not compulsory.